Presented by: Dario Mattei and Royal LePage Porritt Real Estate. 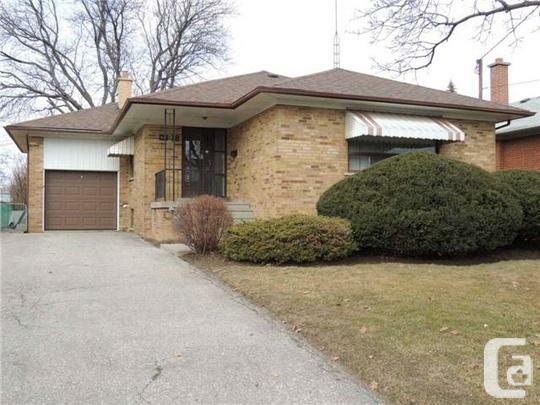 Large & well kept bungalow in the fantastic Dufferin & Lawrence area of Toronto! Large principal rooms highlight the open concept design of this home! 3 Bedrooms, 2 bathrooms & 2 kitchens! Finished lower level with separate entrance -potential in law suite! Updated electrical, thermal windows & roof shingles(15)! Great backyard with premium 50x128ft lot! Close to all amenities including: Yorkdale, TTC, subway, highways, schools, shopping & more.